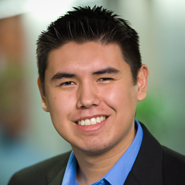 Kendal Netmaker grew up on Sweetgrass First Nation, Saskatchewan and had little opportunity to be involved in any extra-curricular activities as a youth, until one pivotal day where his friend’s family reached out to provide the necessary support. This allowed Kendal to be part of many sports teams and continue with his education. Kendal created the clothing company, Neechie Gear, when he was a student at the University of Saskatchewan. He understood then the value of creating a socially branded clothing line that gives back to youth in communities by encouraging and supporting participation in sport. As a tribute to his past, and with the assistance of world renowned Aboriginal author, Neal Mcleod, the term Neechie was ‘born’ – it is a slang form of "my friend" in the Plains Cree language. The Women Entrepreneurs of Saskatchewan Inc. connected Kendal with the Futurpreneur Canada, where he received financing, mentoring and business resources. Futurpreneur Canada matched Kendal with Futurpreneur mentor Denis Prud'homme who provides advice and support to help the young entrepreneur run his business. For Kendal, being an entrepreneur “has enabled me to create my own path as opposed to being limited by working for someone else. Just being able to witness people wearing and appreciating our clothing and the social aspects we support is so powerful,” explained Kendal.